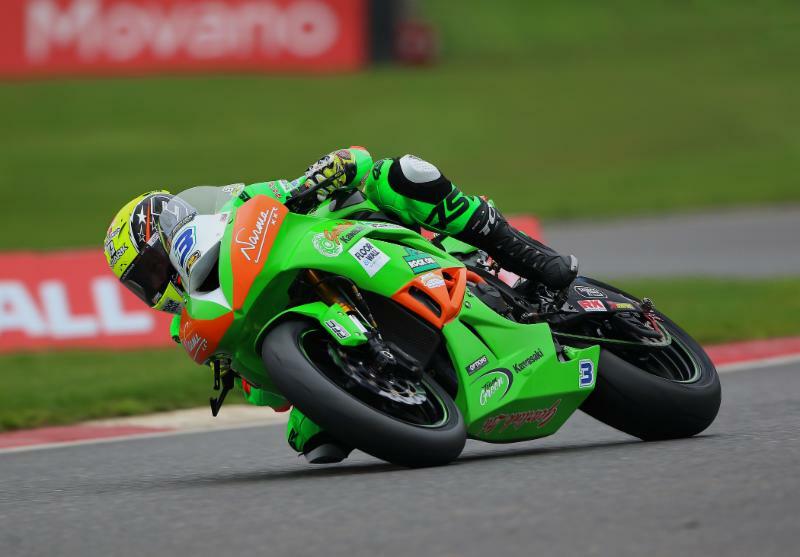 Round two of the Dickies British Supersport Championship took place this weekend at the Brands Hatch Indy Circuit. 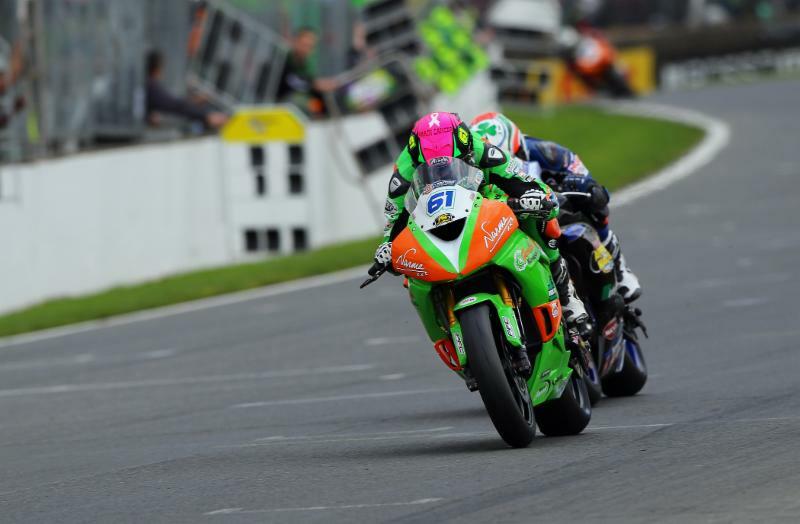 Australian Ben Currie secured a fantastic second and third place in the two Supersport races and his team-mate James Westmoreland secured an 11th and seventh place. Ben was once again towards the top of the time sheets in every session and was eager to follow on his fine form from Donington. He qualified in second place for the opening Sprint race on Saturday afternoon and once again it was Ben and Jack Kennedy that were pushing for the win. The pair swapped positions on several laps and Jack had the lead going into the final lap. Ben got incredible drive out of the last turn and it was a fight to the line, only 0.006 separated the pair and Ben had to settle for second. Westy was struggling through the practice and qualifying sessions, he finished only 0.8 off pole position but ended up in 14th place on the grid for the Sprint race on Saturday. He got a good start and moved up to 10th after lap one and finished the 18-lap race in 11th. He started from 13th for the main feature race on Sunday and made a good start moving up several places. On the re-start of the race he made good progress through the field and was locked in a tight battle with Bradley Perie and Brad Jones. He eventually finished the shortened 12 lap race in seventh. Ben Currie – “It’s been another strong weekend for us and we have taken away another good bundle of points in the Championship. I pushed hard yesterday and had a good battle with Jack, I don’t think I’ve been involved in anything that close before but it’s great as we are pushing each other forwards all the time. James Westmoreland – “It was obviously not fantastic by any means. We missed a session on Friday morning due to the conditions and only had FP2 to get set-up for qualifying. I started the weekend further off than what I would have liked and played catch up all weekend. Race one I had a few problems and finished 11th which is not ideal. We made some changes for race two and the bike was much better and I feel like I’ve got a bit more direction now. I finished seventh, it’s not amazing but we are moving forwards and will take the positives onto Oulton. 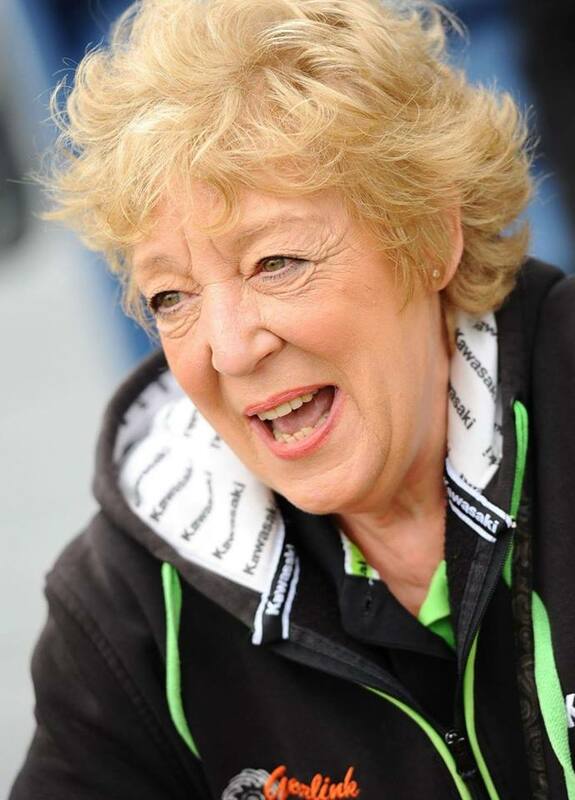 I am really confident that we can move forward with the test and then the race at Oulton. It is difficult if you make any small mistakes at Brands, it becomes very costly. 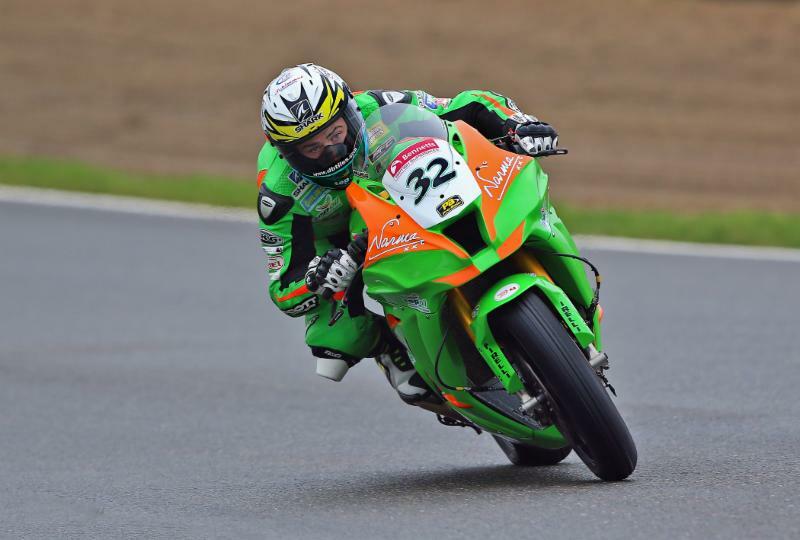 In the Bennetts British Superbike class Carl Phillips was getting used to riding the Kawasaki in the dry conditions. 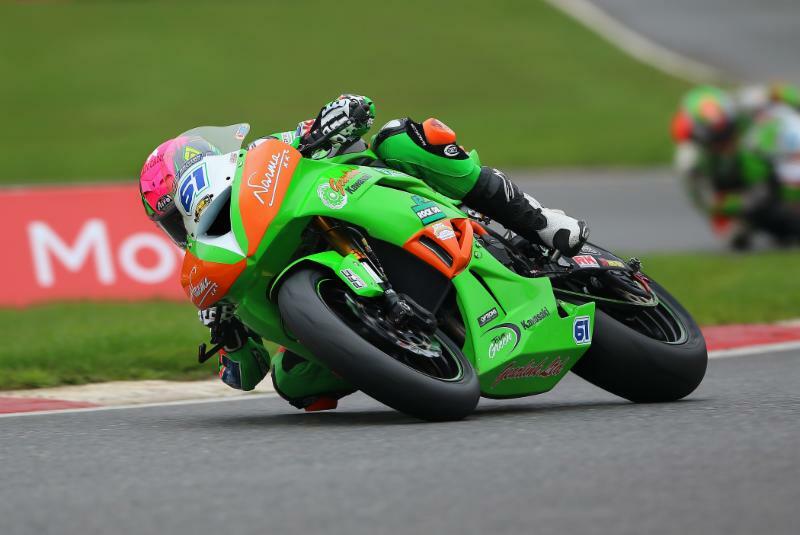 He continued to improve on his times and took two seconds off from practice to qualifying where he finished in 24th place for race one on Sunday. He suffered a big crash in morning warm-up but despite feeling very second hand he managed to get out in the first race and finish in 21st place. He started race two from 23rd and was sticking with the pack when the rain started to fall and the race was red flagged. It was restarted and Carl got a strong start, he soon put his head down and was making incredible progress through the field to finish in a very strong 10th place. 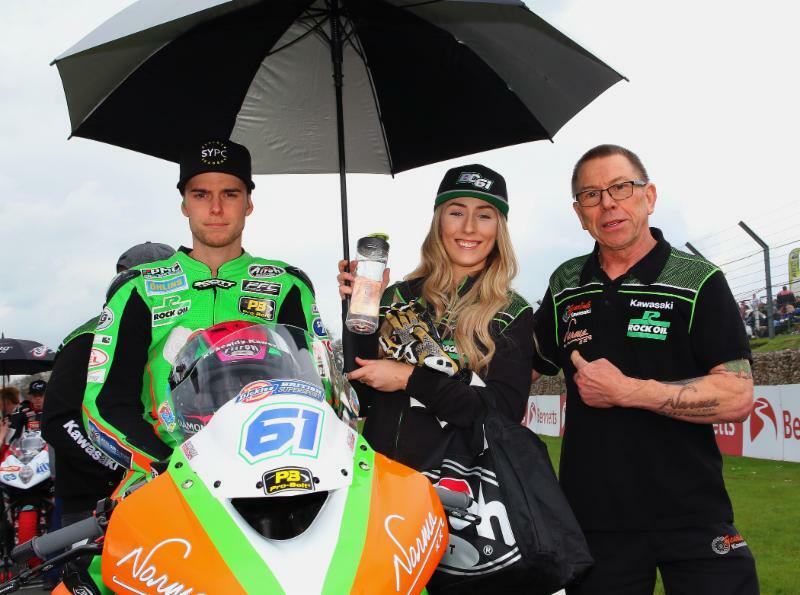 Carl Phillips – “I was looking forward to this weekend at a track I have had race wins at previously and getting more time on the Gearlink Kawasaki. After a solid FP1, unfortunately FP2 was cut short due to a technical issue so we lost a bit of track time there. We made a lot of changes for FP3 which made me feel a lot more comfortable on the bike and my lap times improved. I had a big high side and a trip to the medical centre during morning warm-up which did not help my race prep for race one, I finished in 21st place. During race two when the race was red flagged for rain the Gearlink Kawasaki team worked really hard to swap the bike to the wet set-up. I started from 24th place on the grid on the re-start and I began to feel more confident as the race went on to eventually bring the bike home in 10th. Team Manager Michael de Bidaph – “Ben was once again at the sharp end during the Supersport sessions and Westy was continuing to adapt his riding style to suit the 600 again, making good progress throughout the weekend. 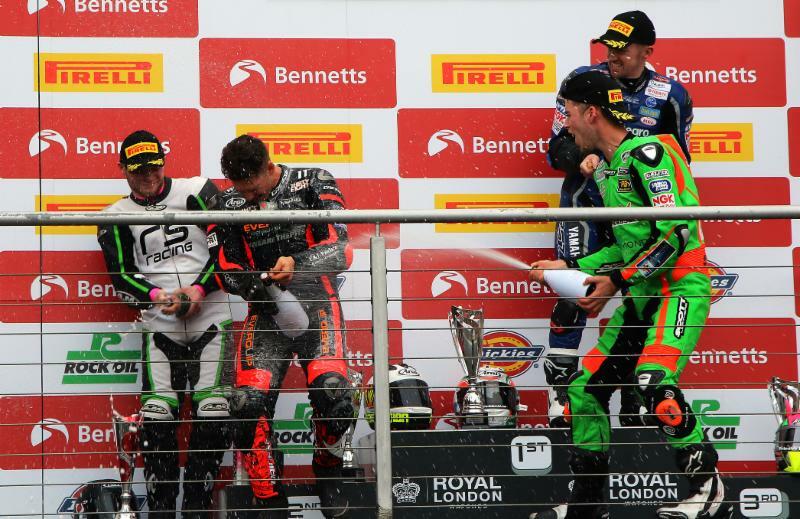 Both riders rode two very sensible races, it was great to have Ben on the podium in both races and continue the strong form that he showed at Donington Park. Westy is improving all the time and I am very sure it will not be long before he is fighting with them for a podium position. The second race was tough in hard conditions and both Ben and Westy brought the bike back in one piece. It is a very long season and points can be crucial towards the end of the year.